The fruitful partnership between two friends: Peter Sisseck (Pingus) and Silvio Denz (Faugeres). A new winery in an old farmhouse, surrounded by seven hectares of biodynamically-farmed vineyards. First vintage 2010: 70% Merlot, 30% Cabernet Franc (50-85 year old vines) – across the road from Valandraud, on the spine of the famous limestone ridge. 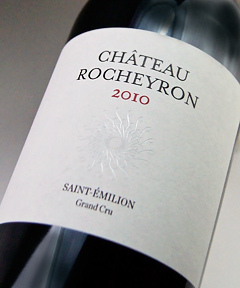 Precise and silky flavors of luscious black-cherry, with a long, lingering finish.